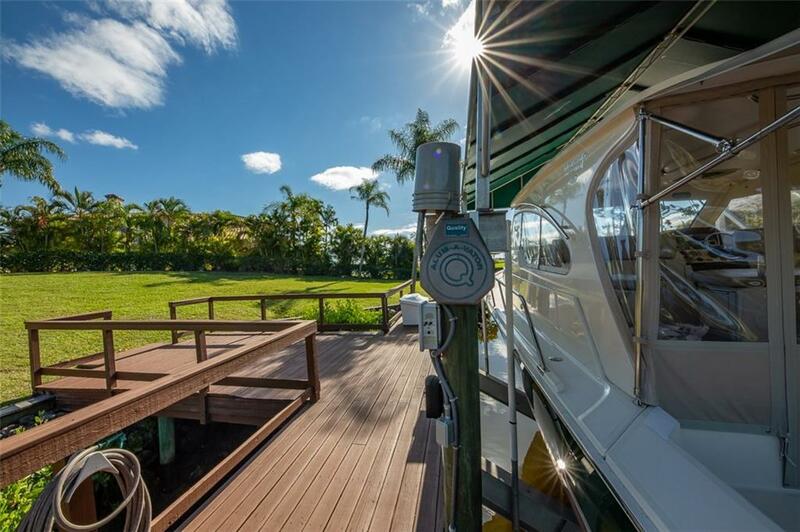 Large boat dockage! 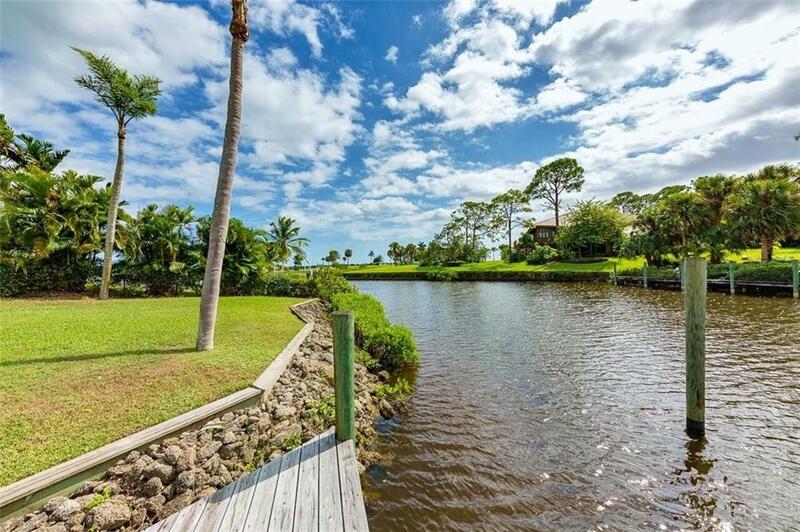 River and canal views! 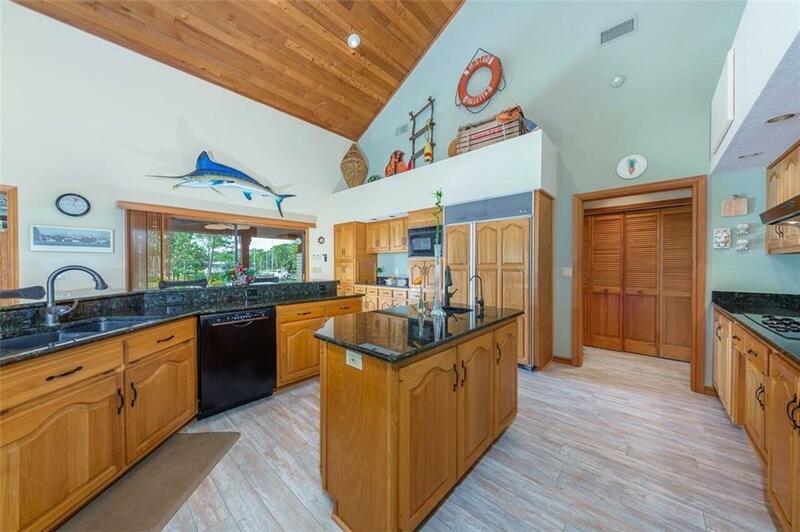 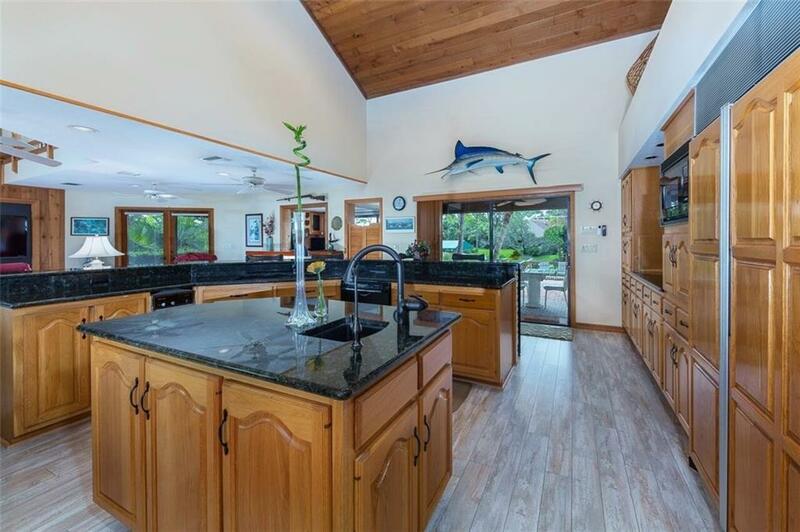 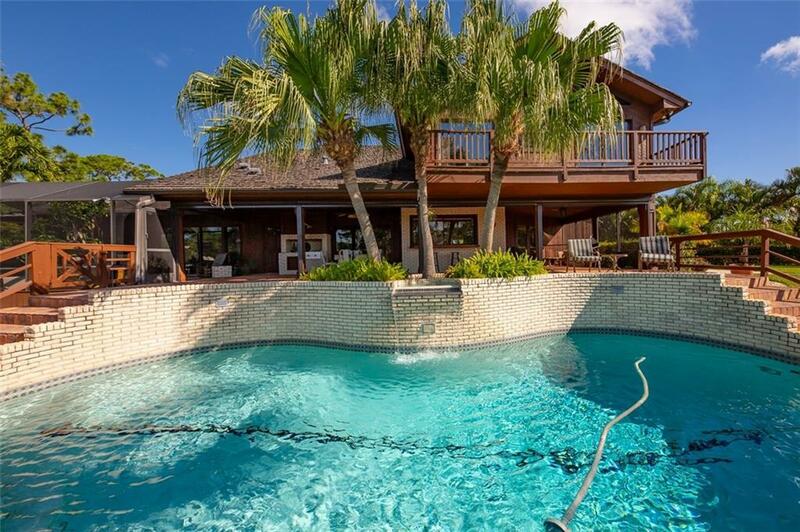 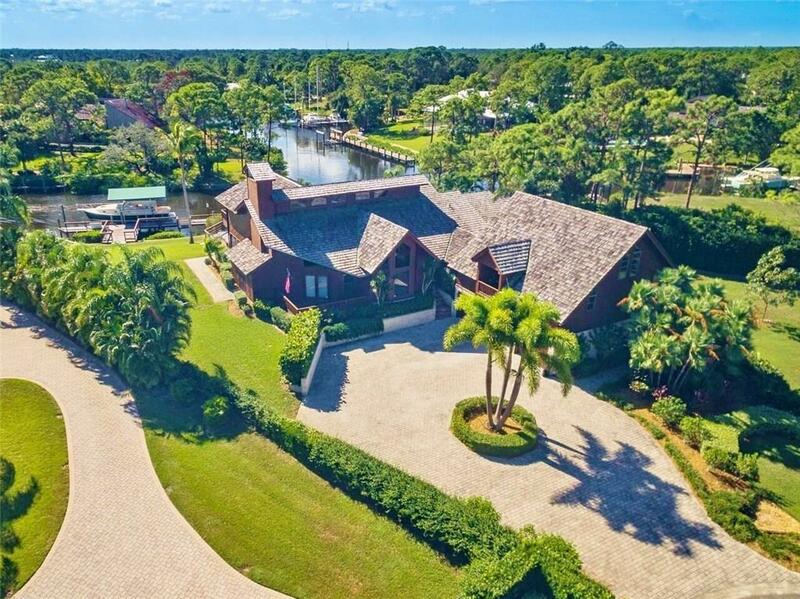 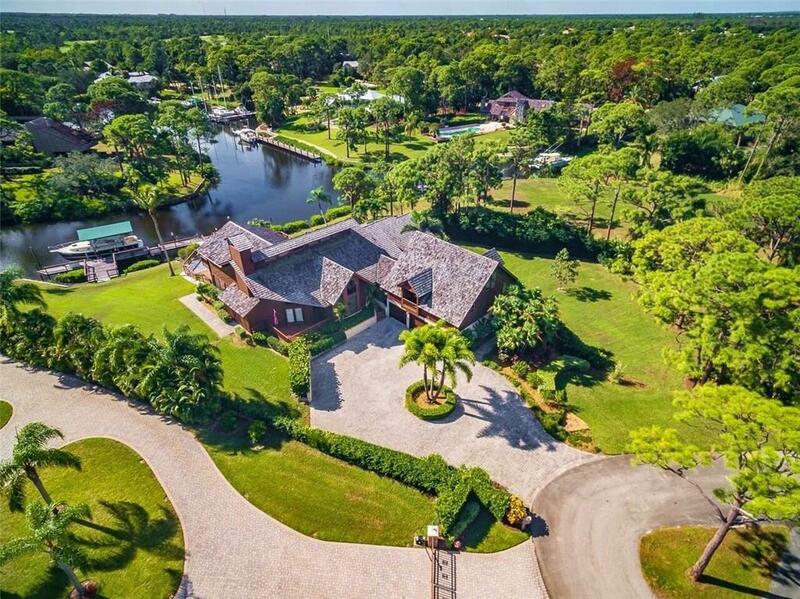 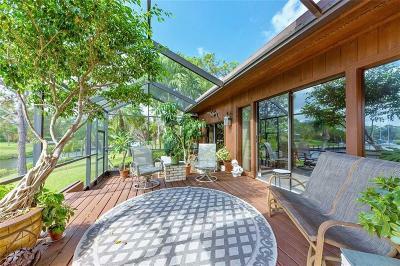 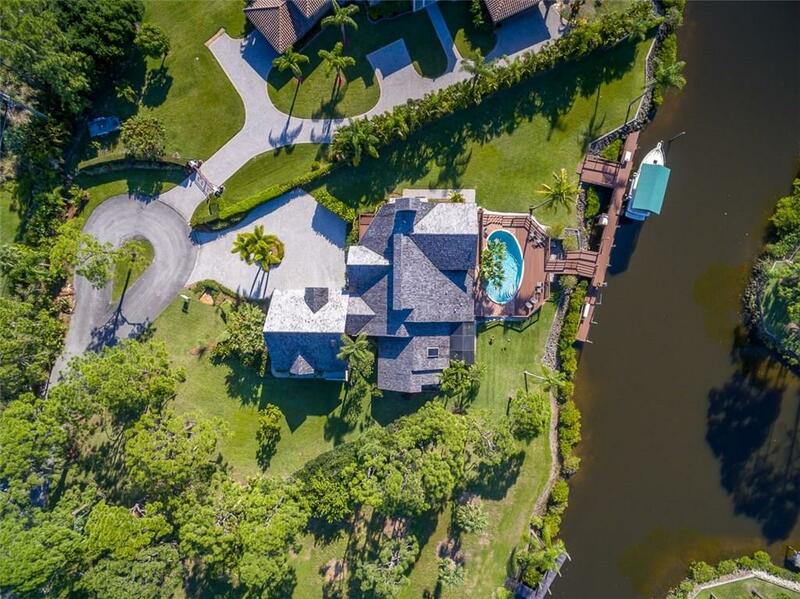 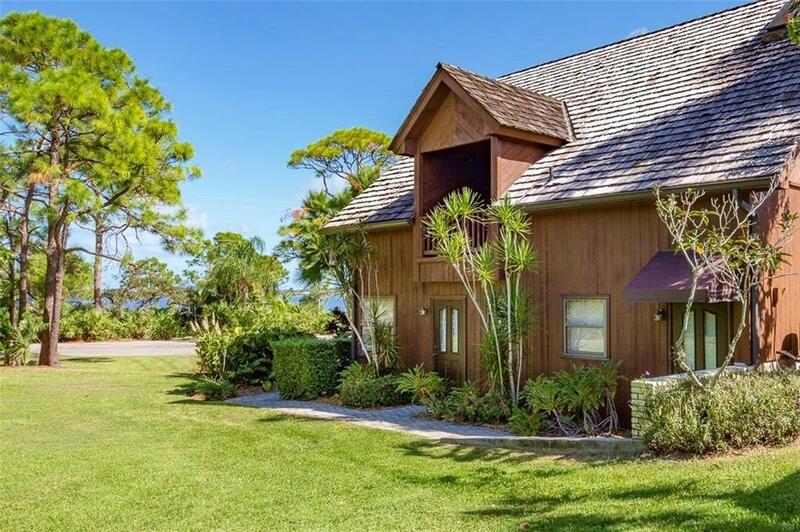 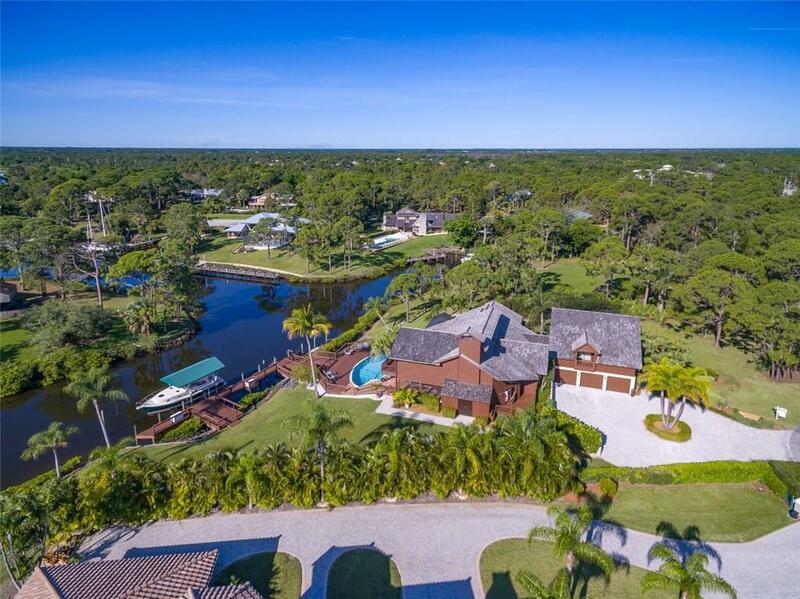 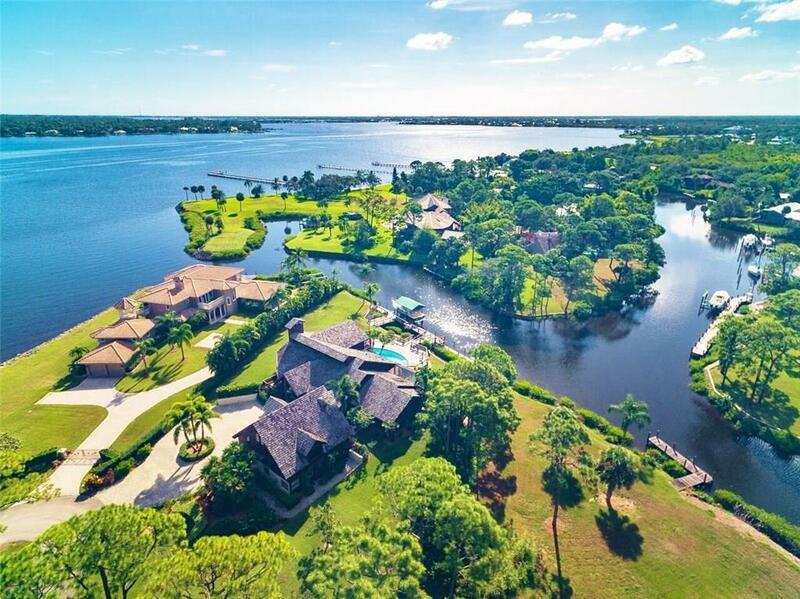 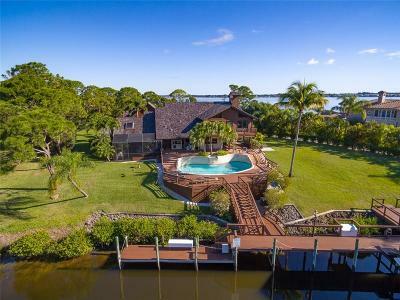 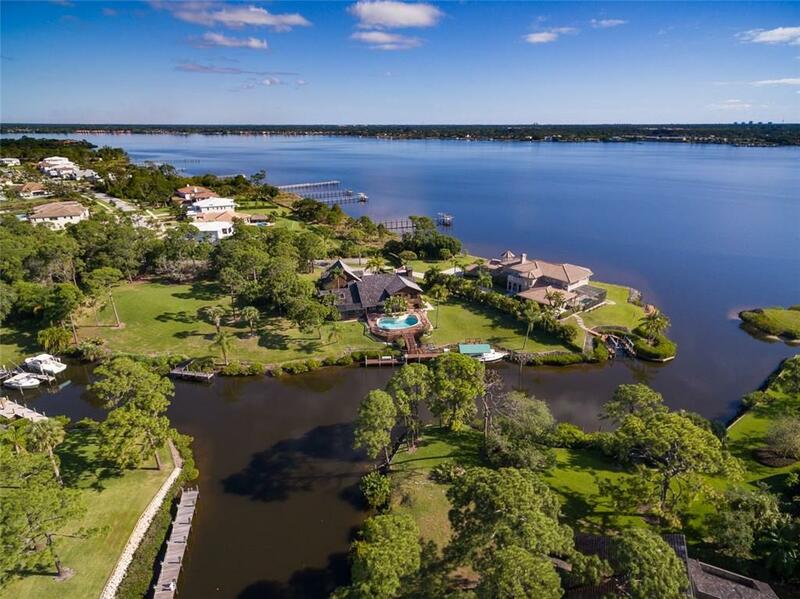 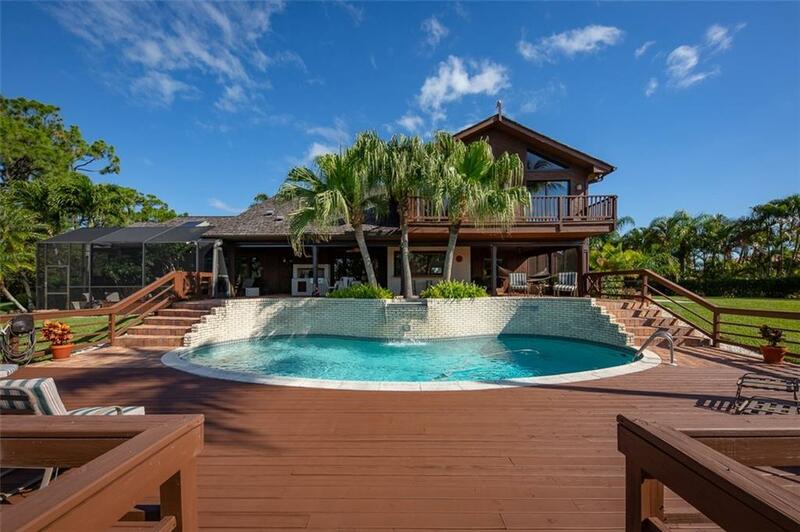 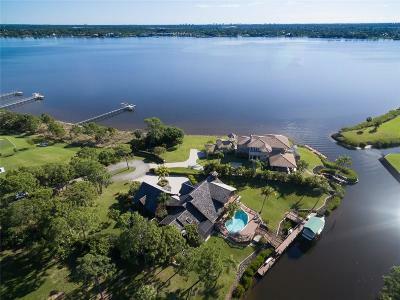 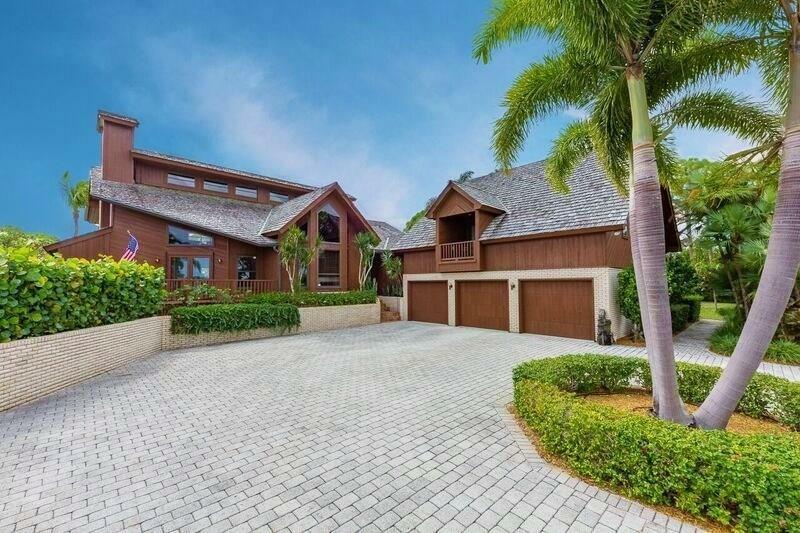 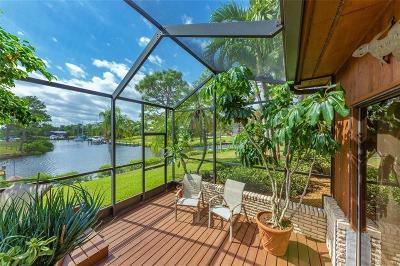 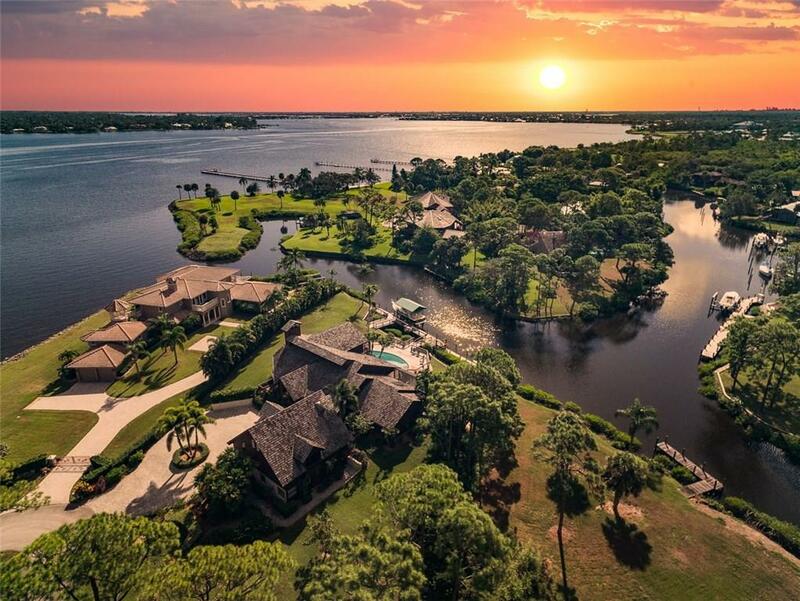 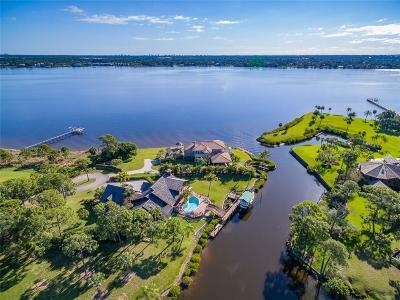 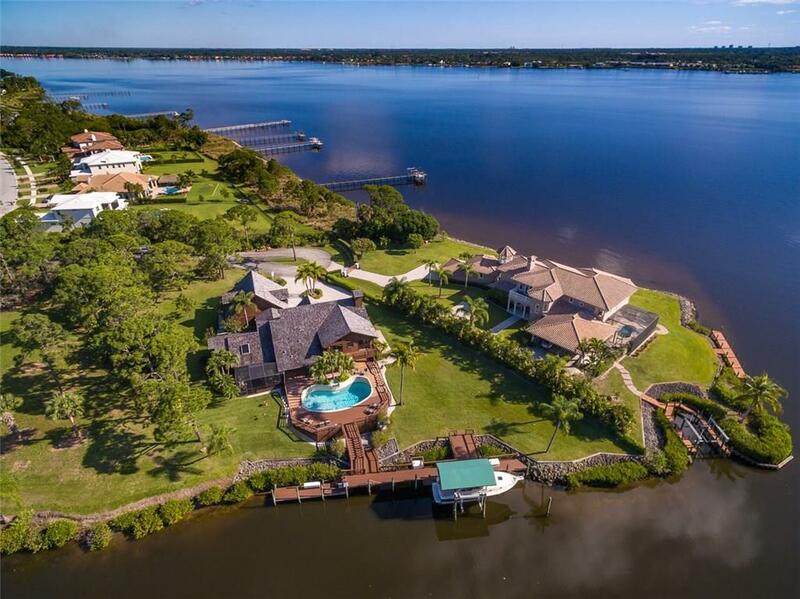 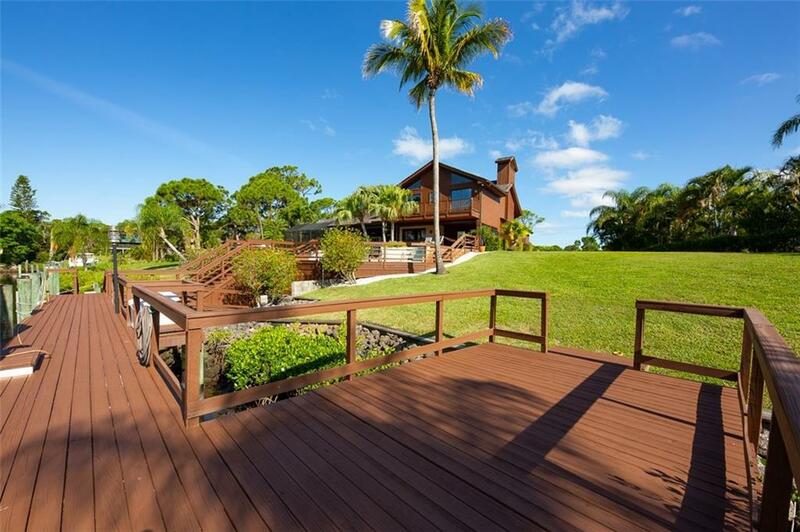 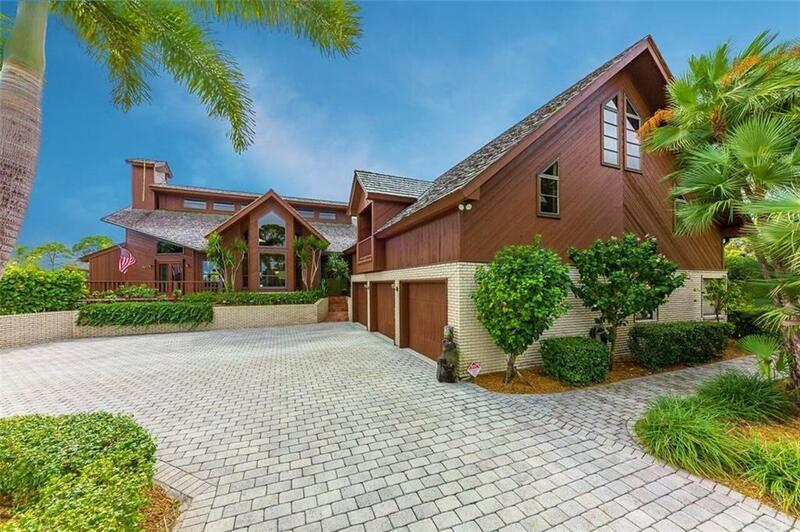 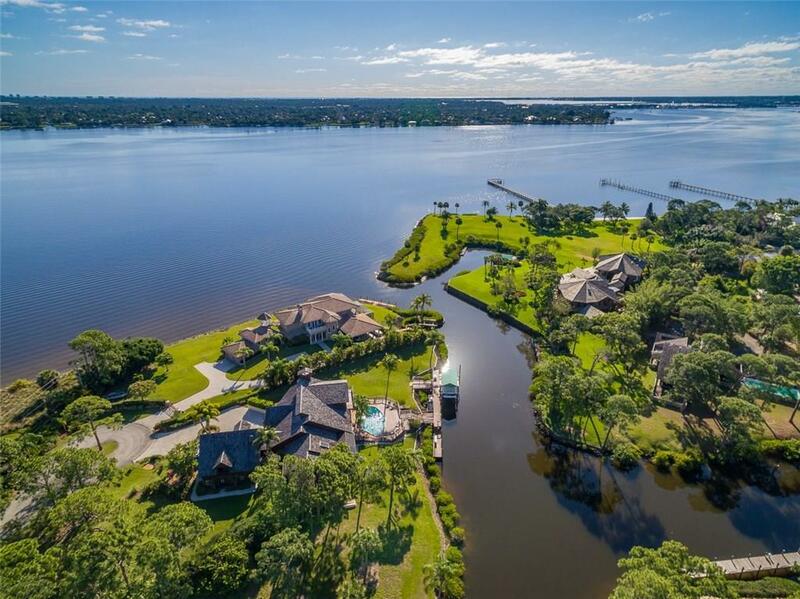 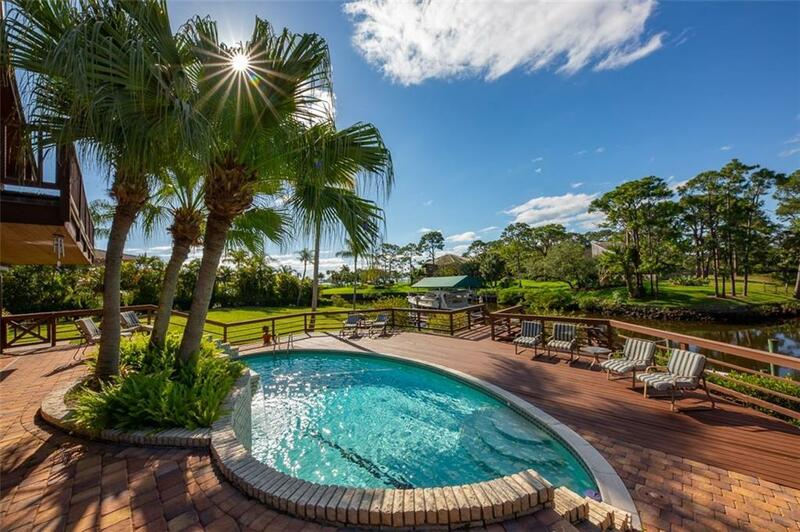 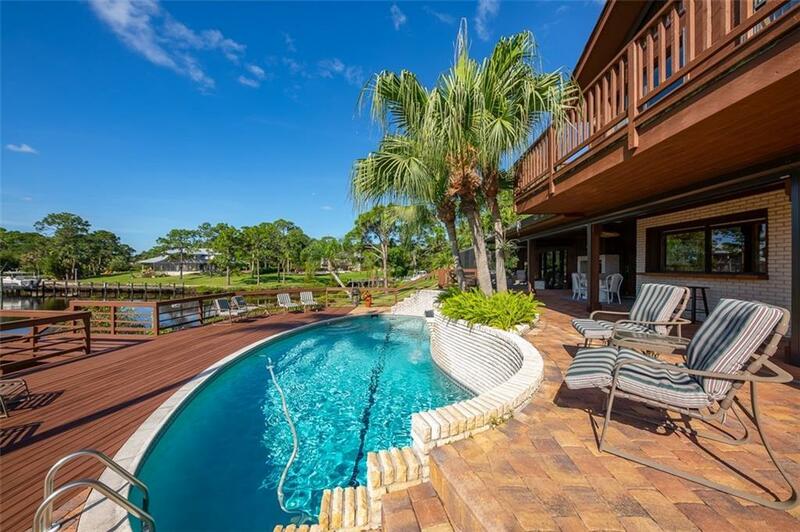 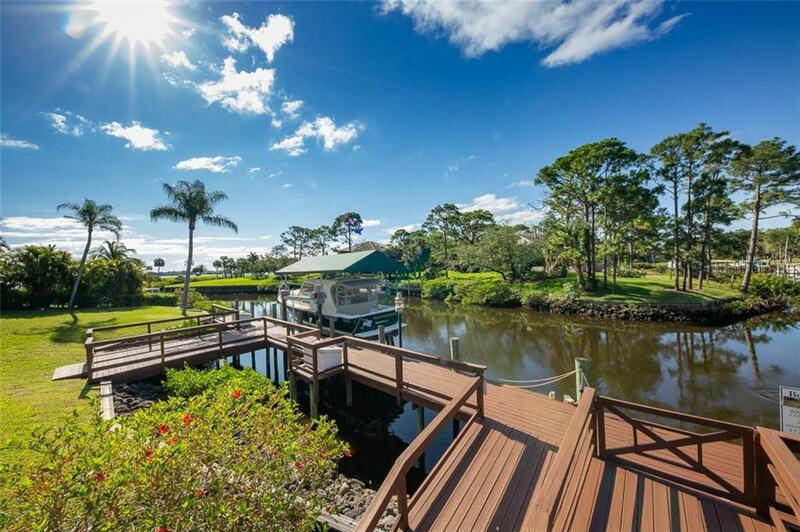 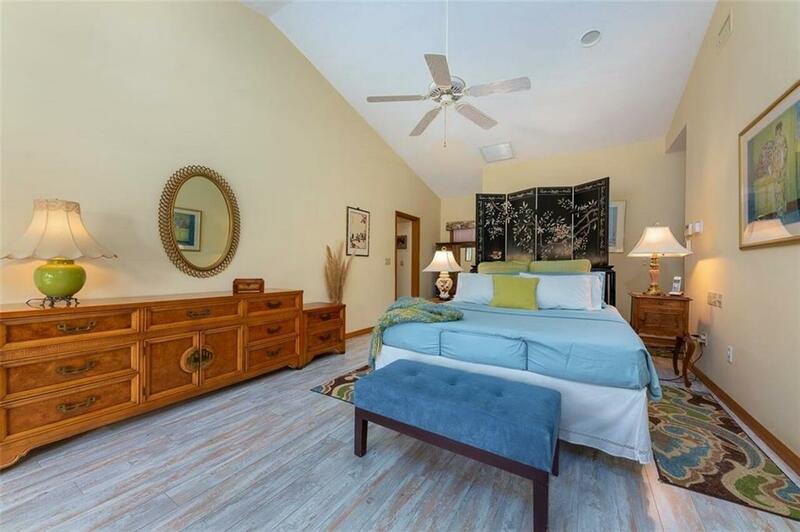 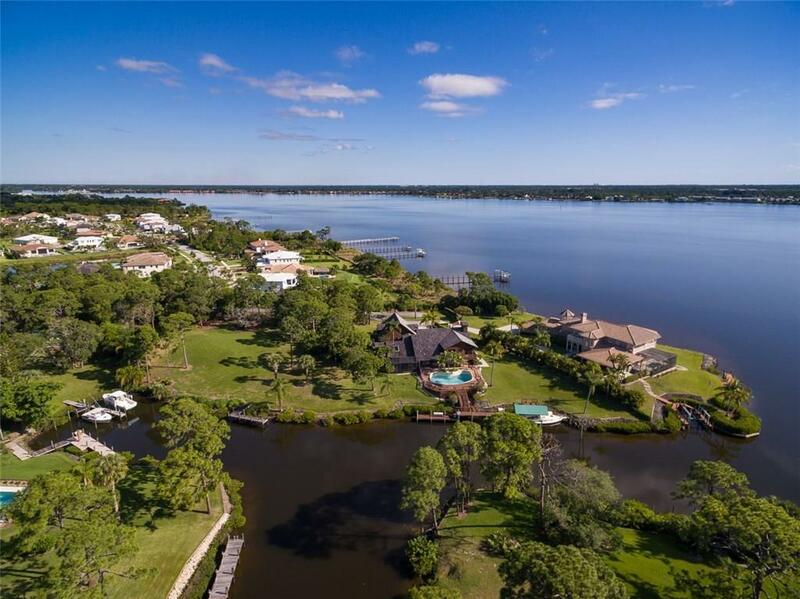 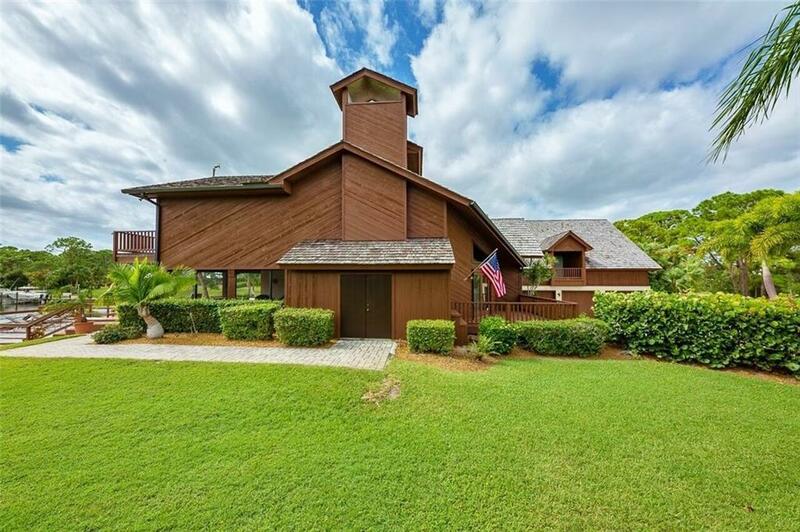 A rare waterfront offering in the Wide Waters enclave of acre plus estate homes situated adjacent to the Floridian Estate. 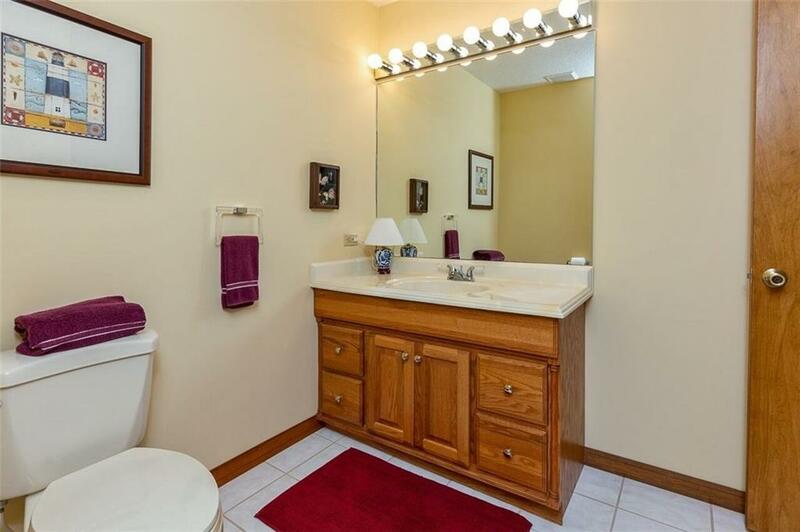 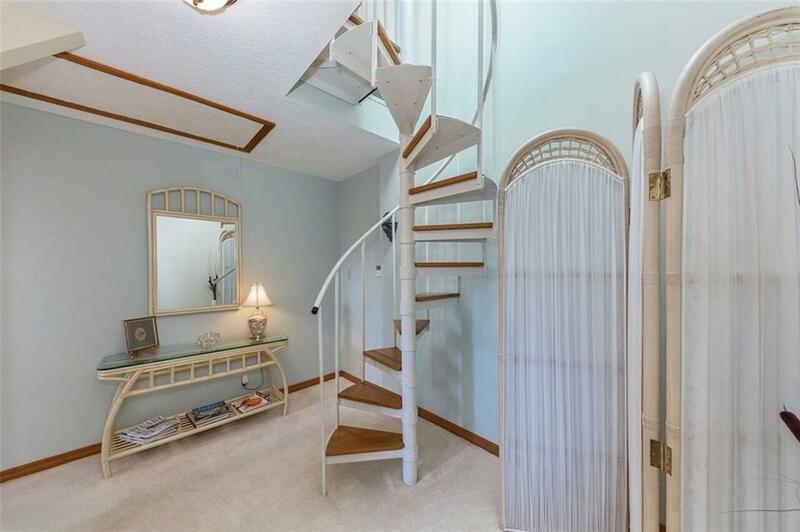 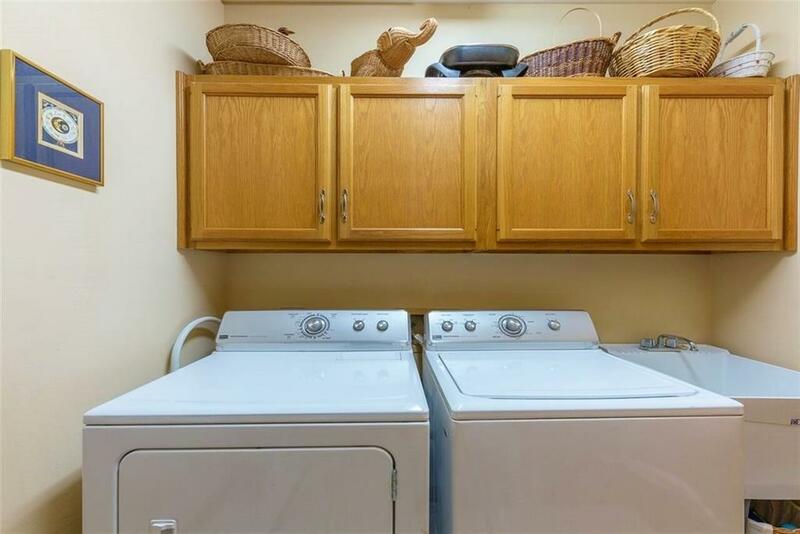 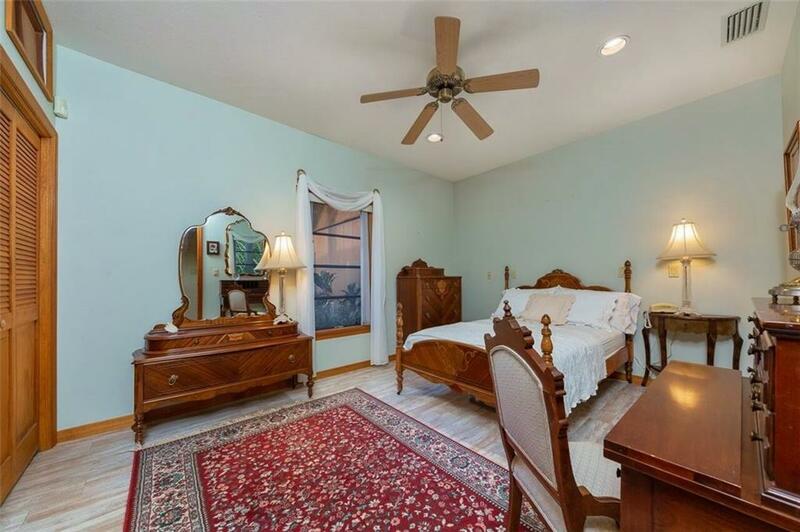 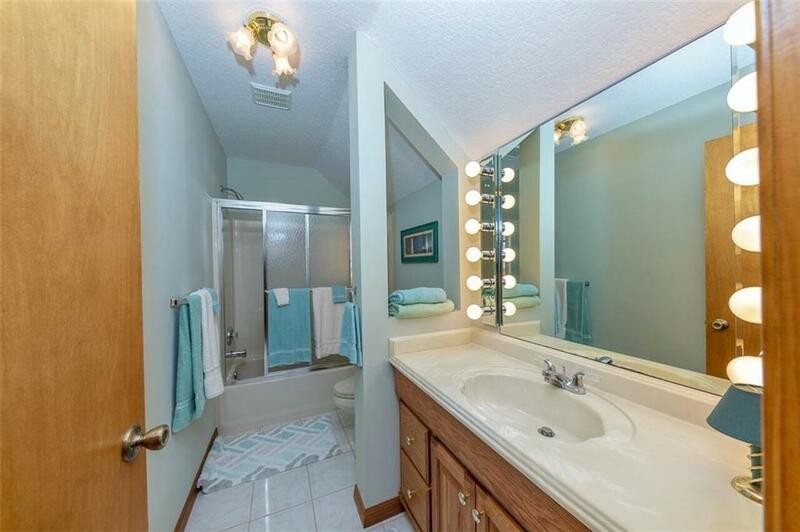 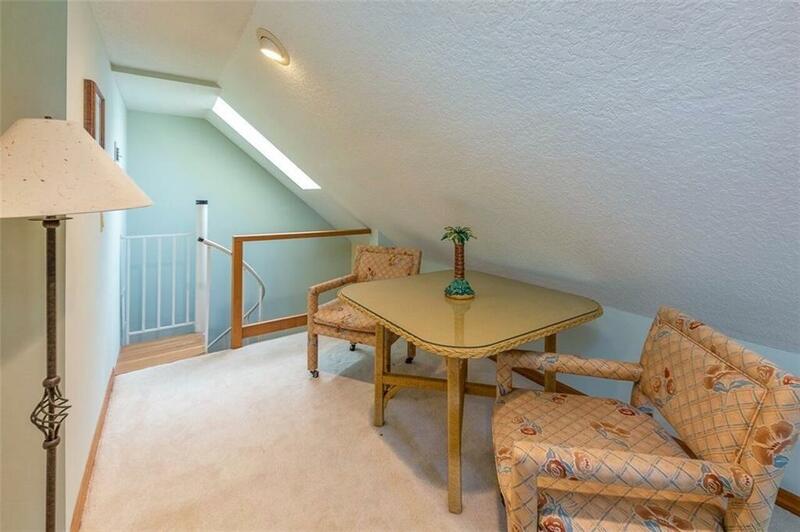 Hard to find 2 Bedroom/2.5 Bath Full Guest Apartment with separate entrance also! 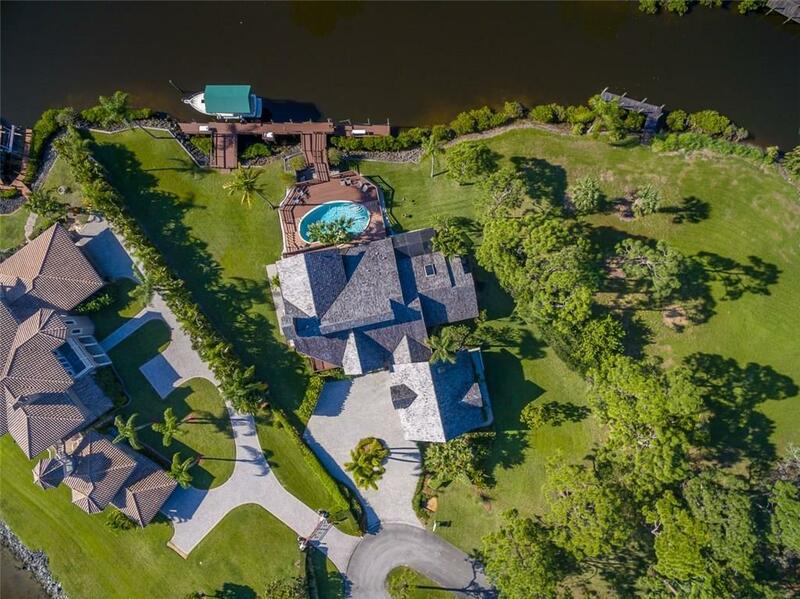 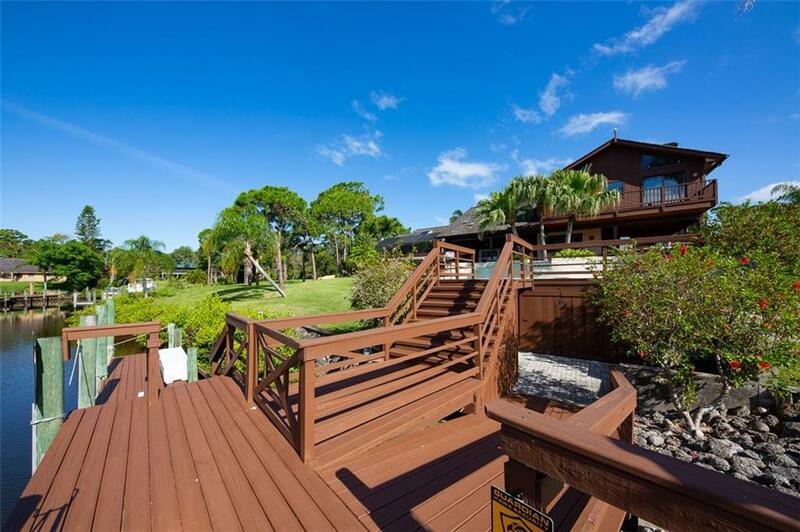 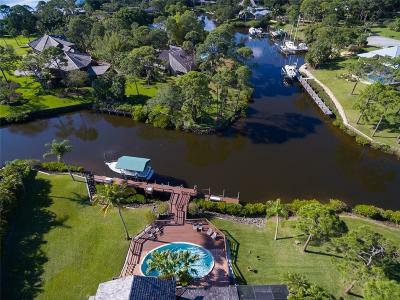 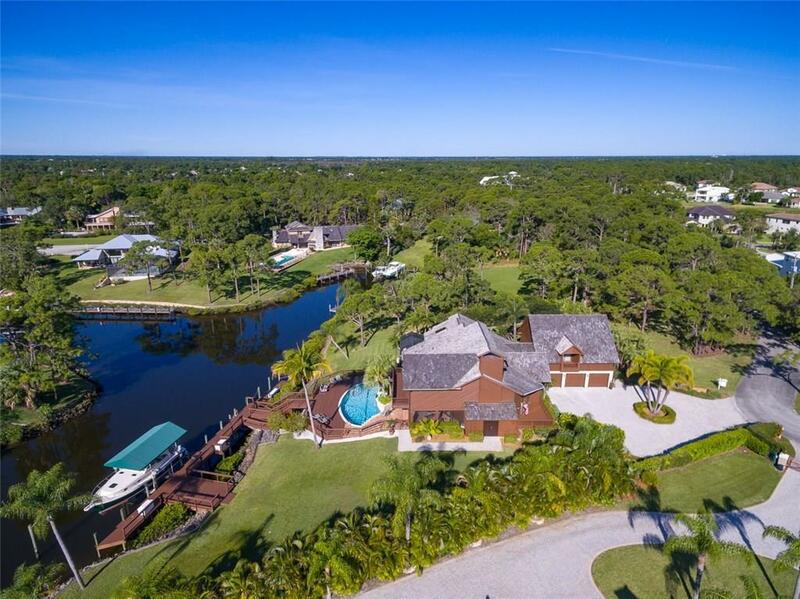 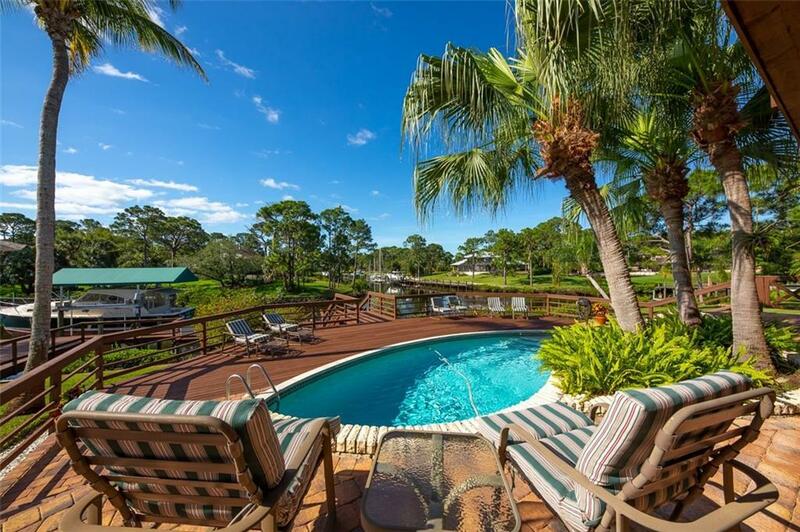 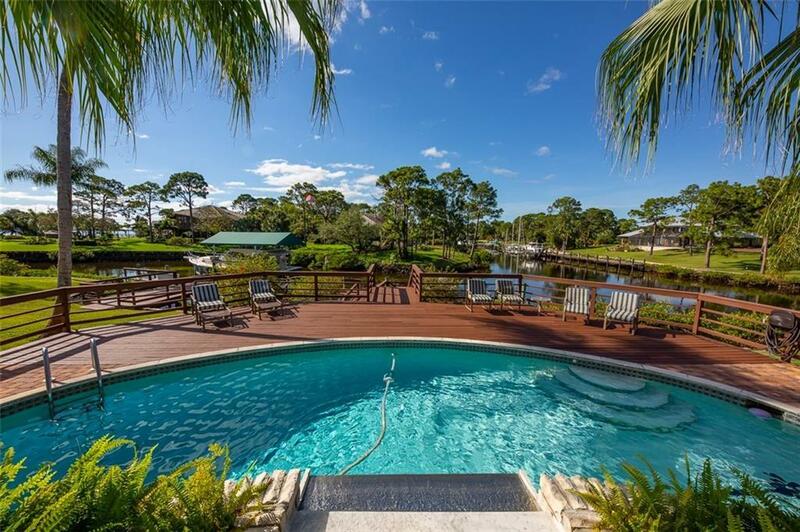 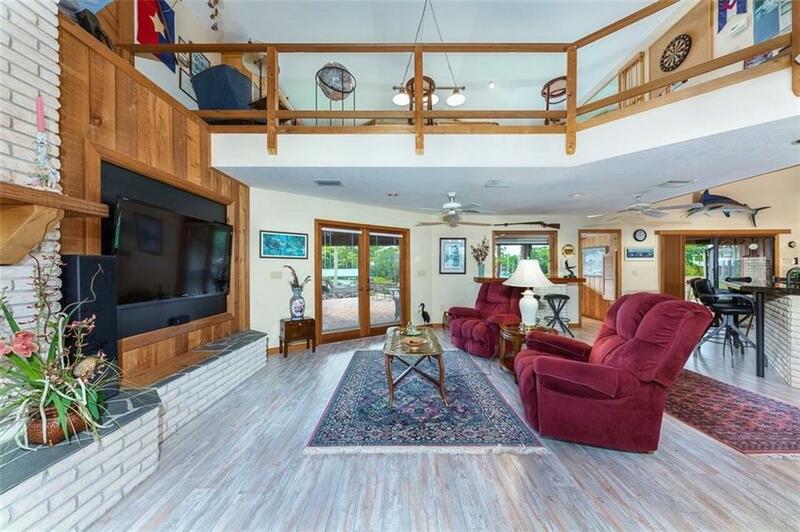 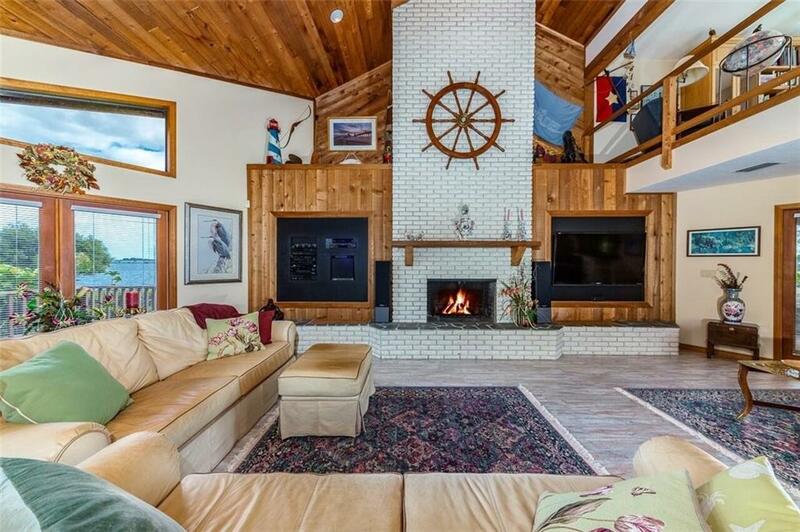 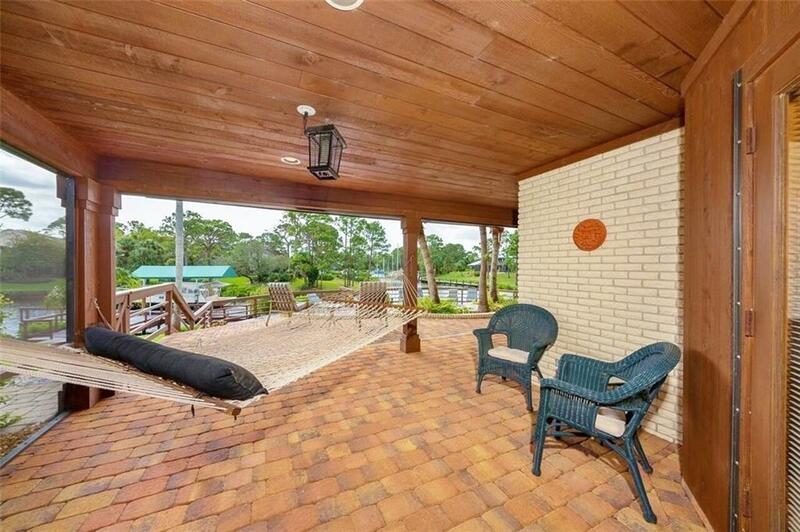 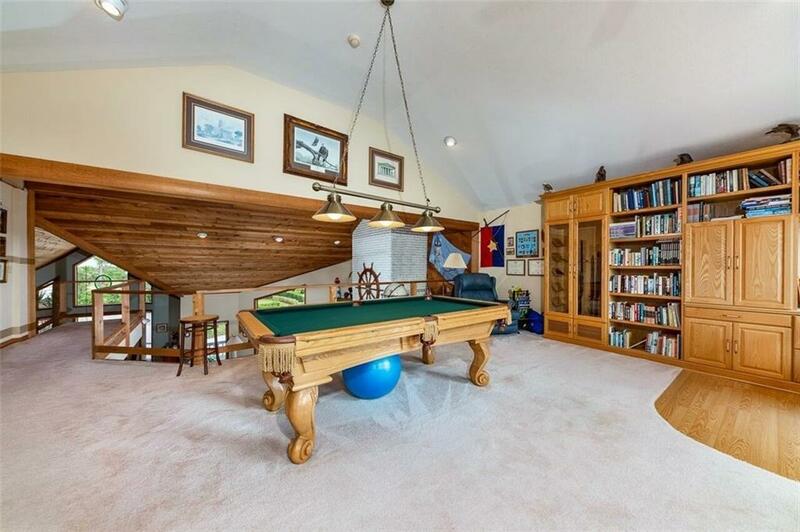 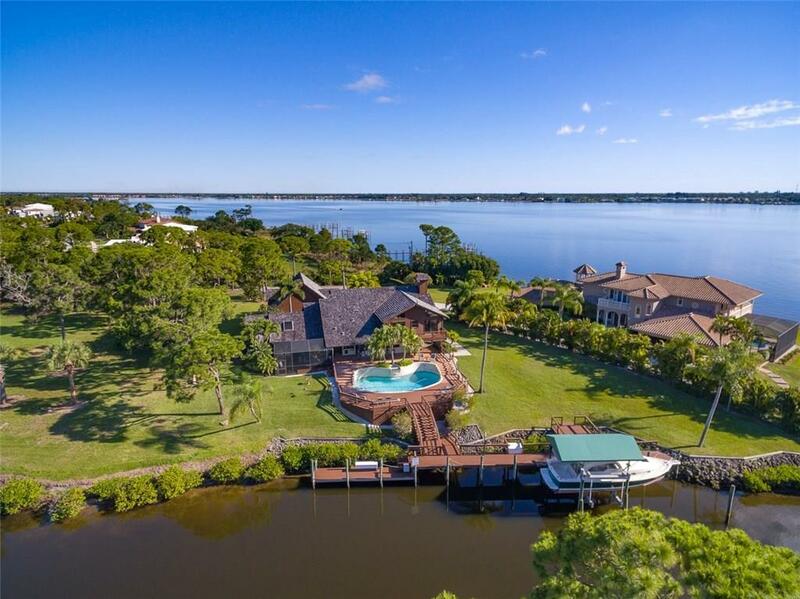 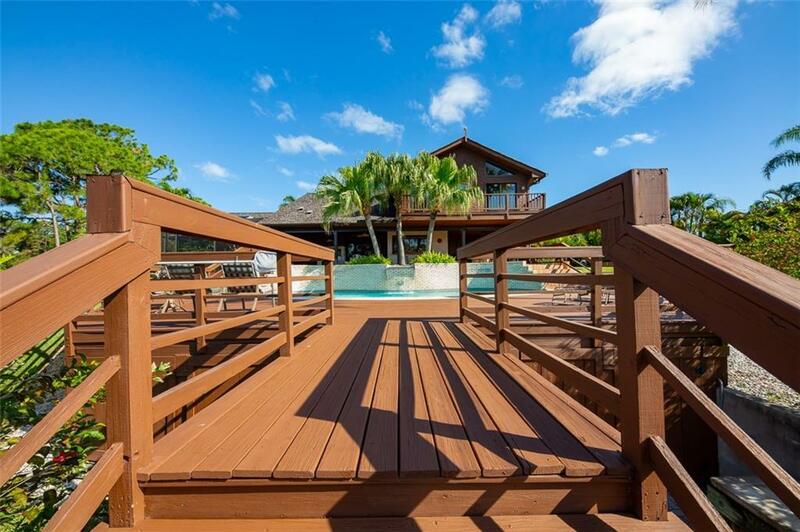 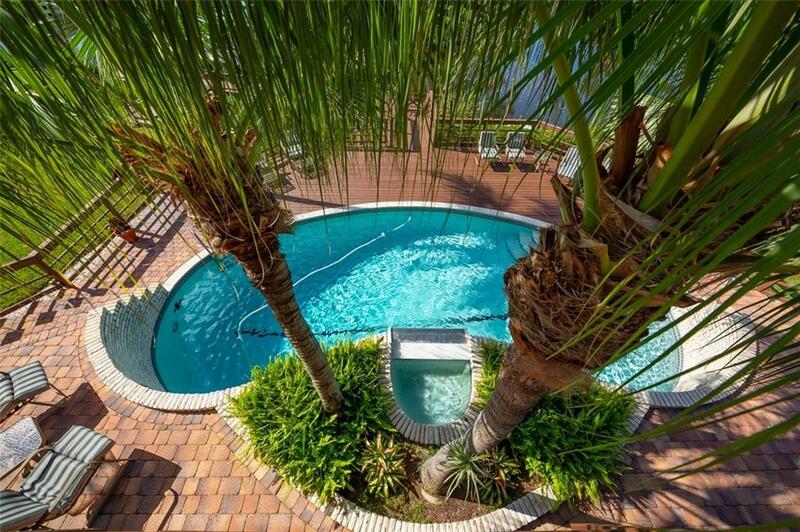 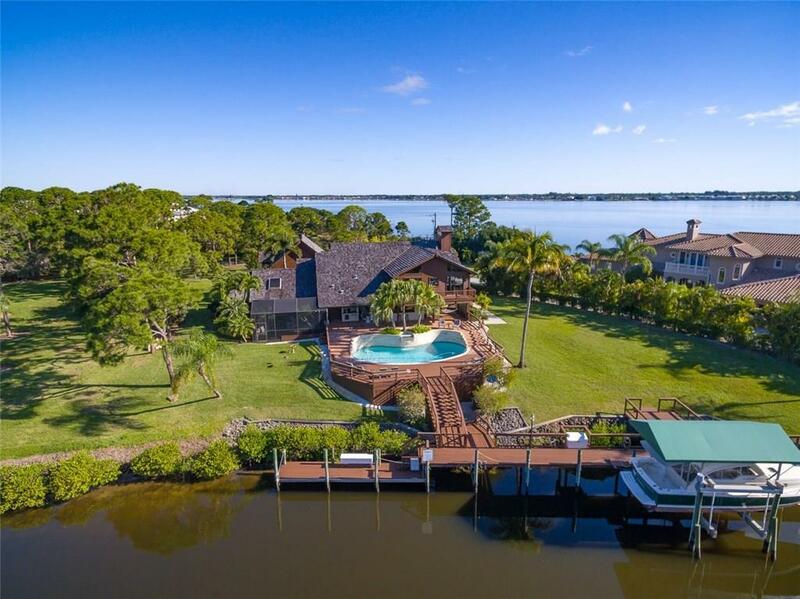 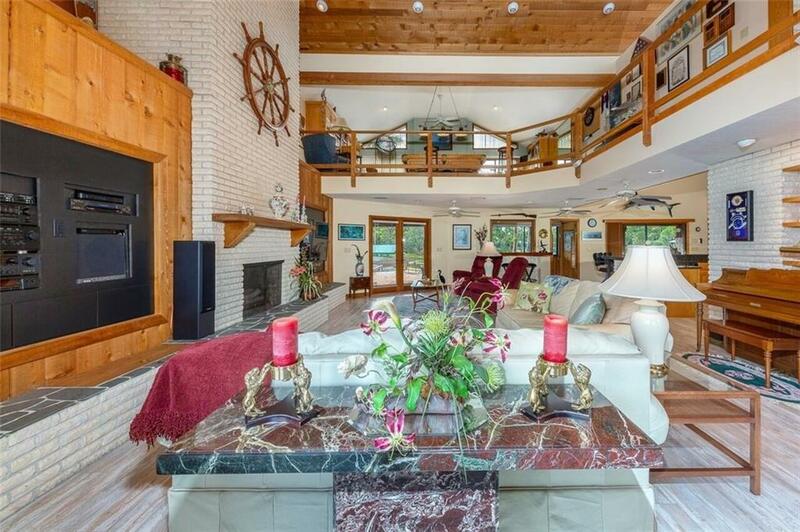 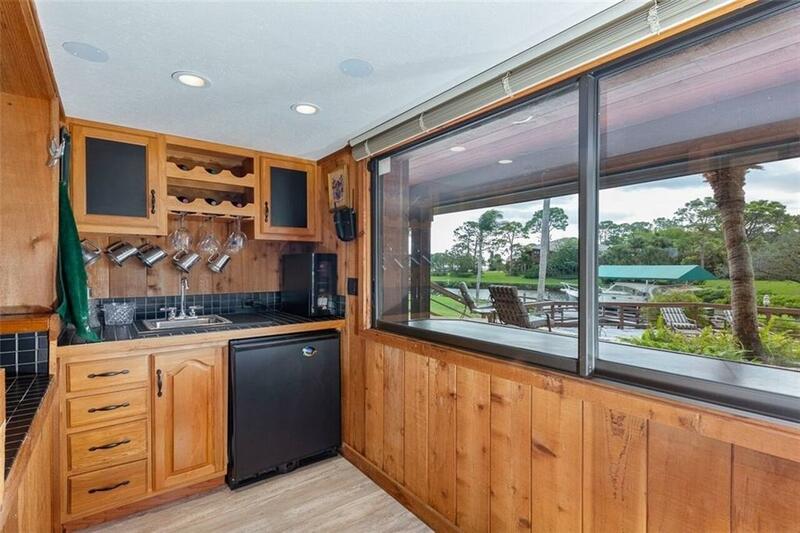 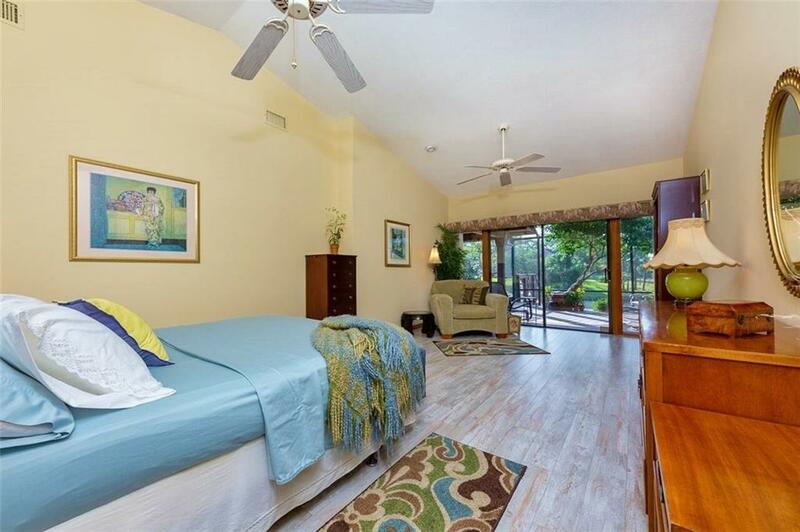 Hurricane Hole offers protected deep water dockage for a large boat and the tranquility and privacy of a secluded location.. Extensive deck & covered patio featuring electric screens & built in BBQ with pool/spa overlooking the waterway. 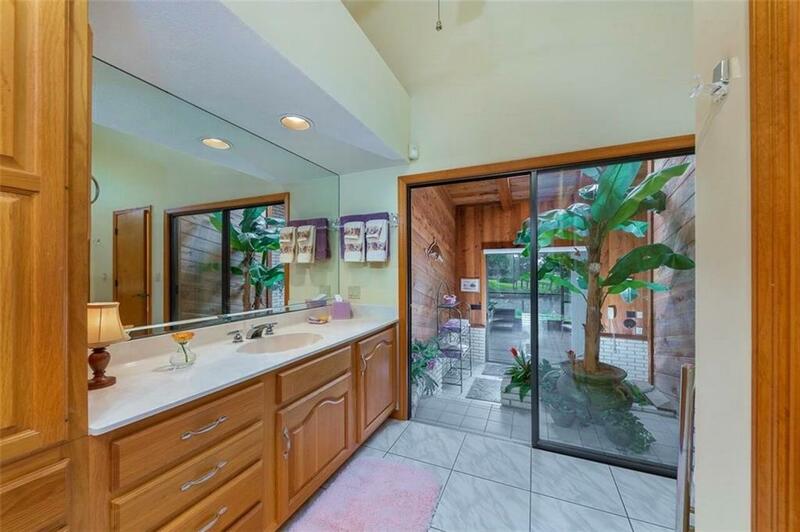 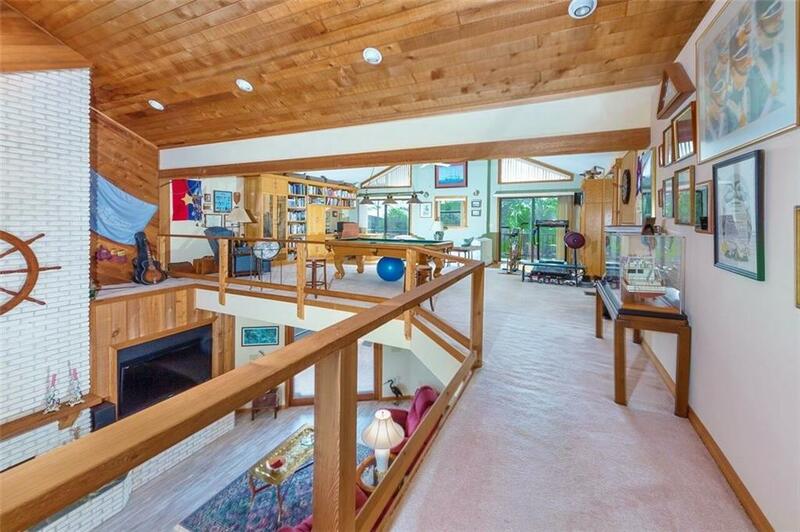 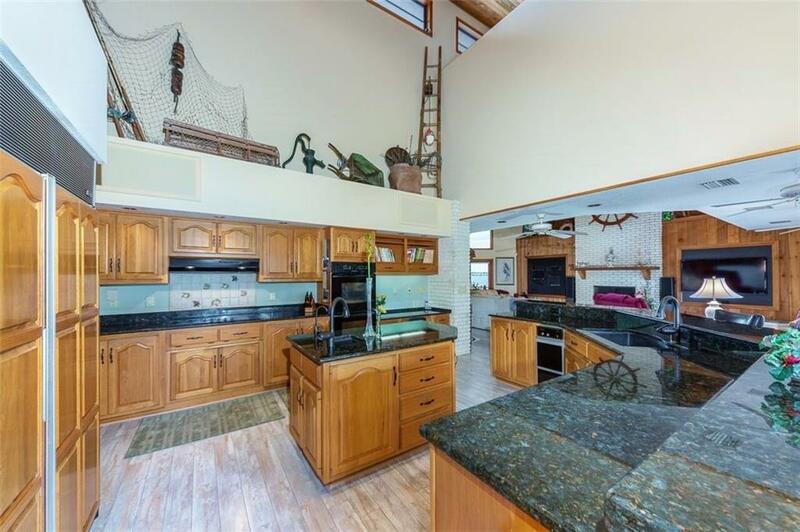 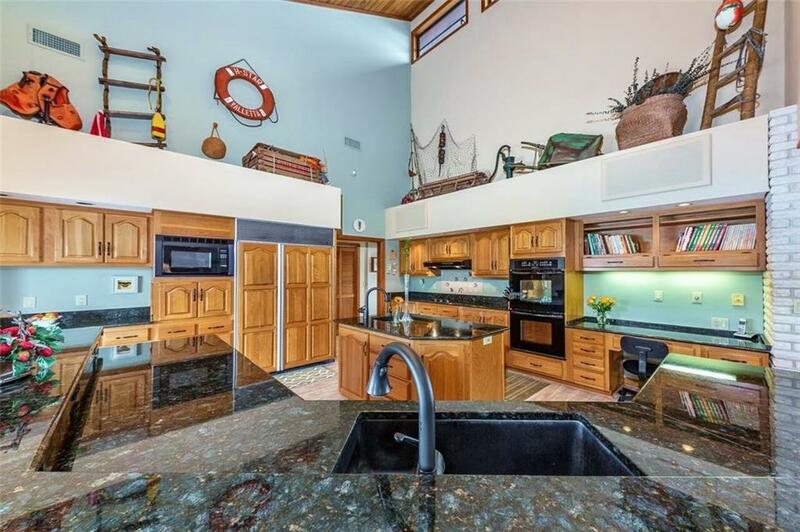 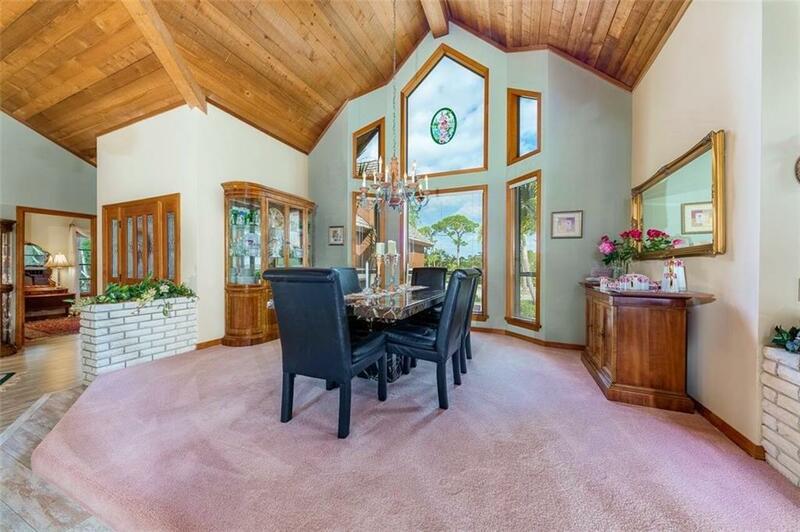 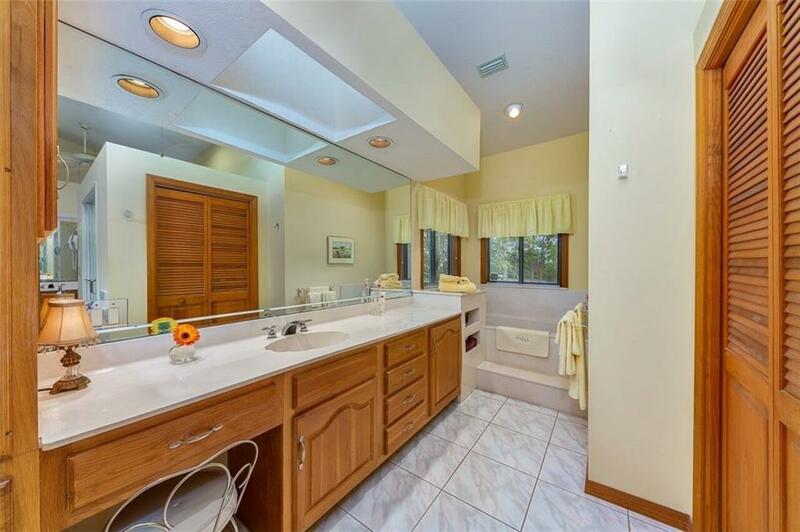 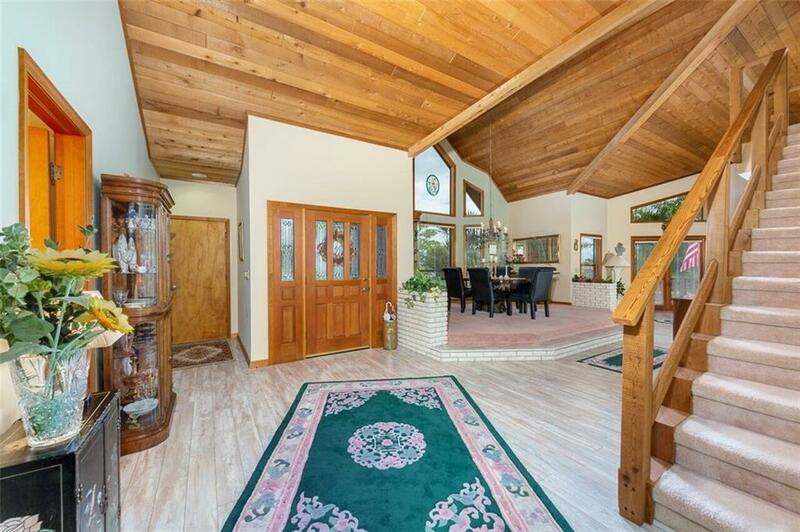 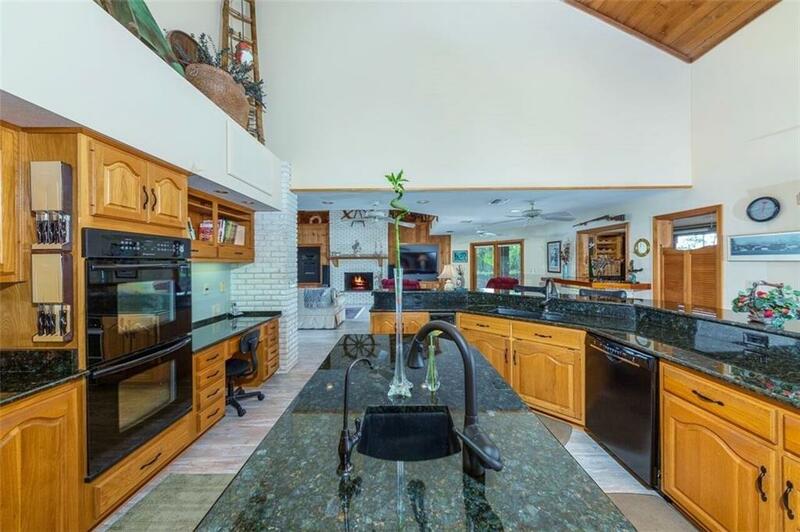 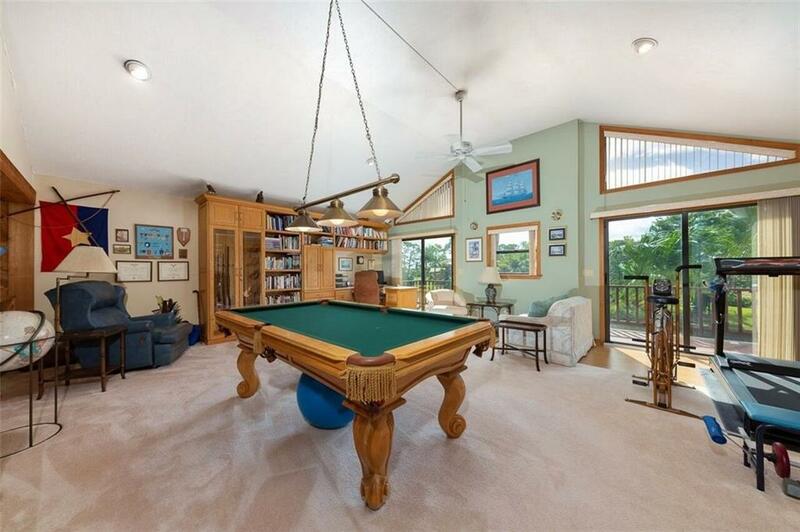 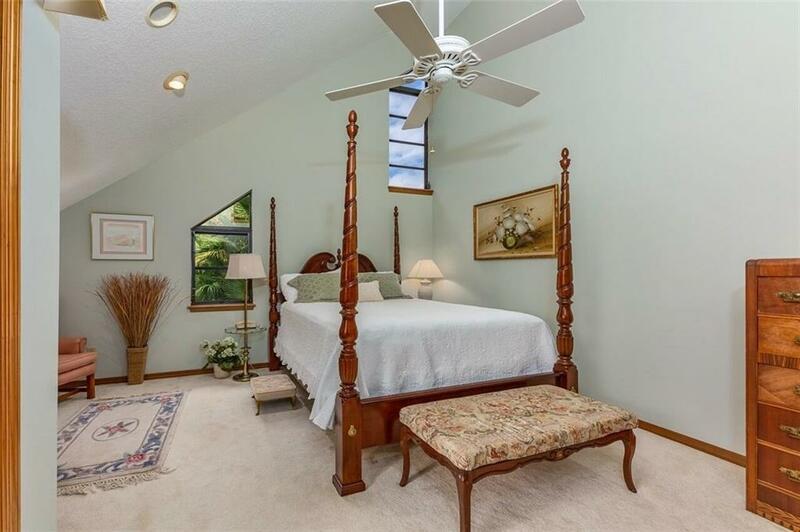 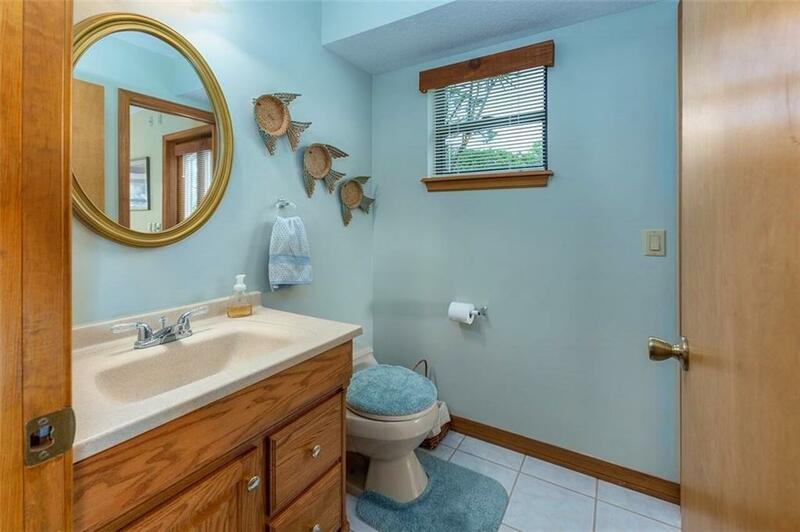 Cathedral ceilings, built in cabinetry. 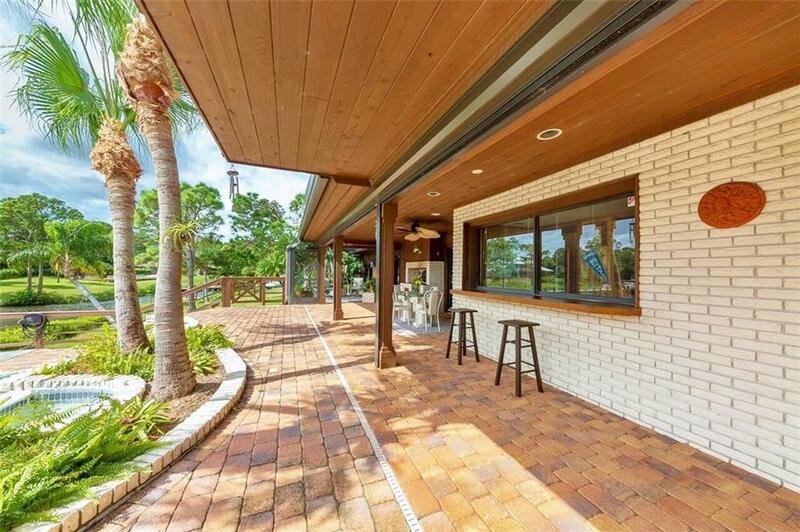 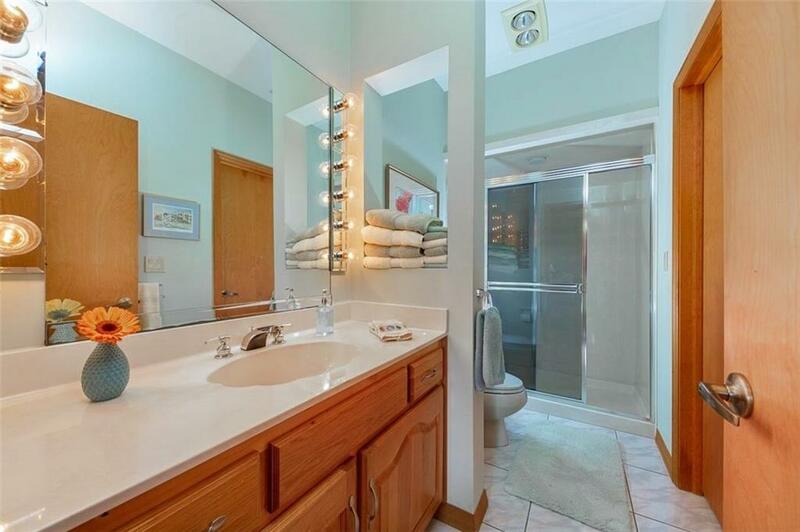 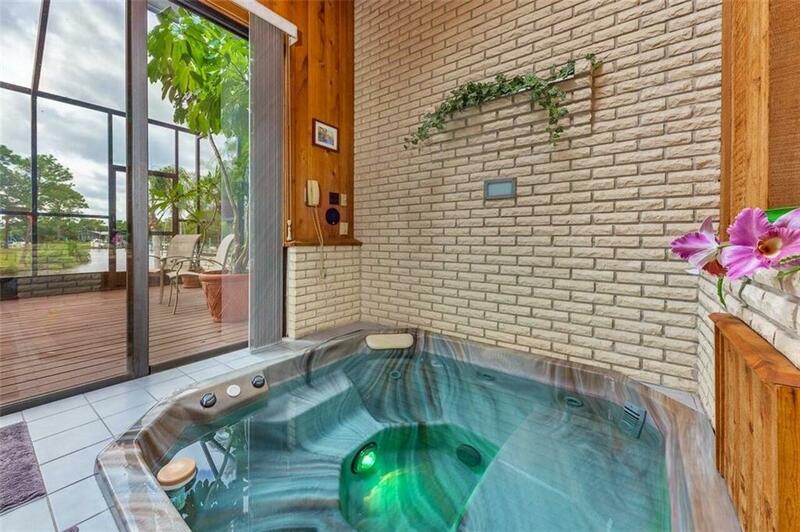 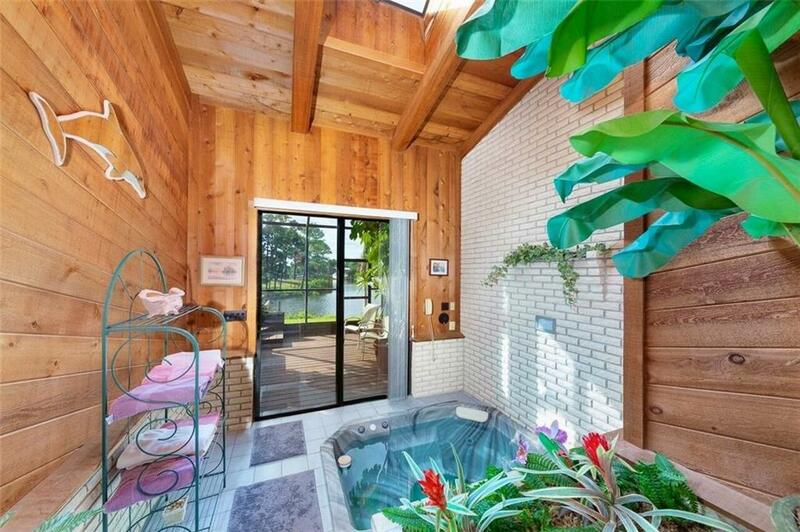 wood burning fireplace, indoor/outdoor bar, speakers inside & out, & master bathroom separate spa room too. 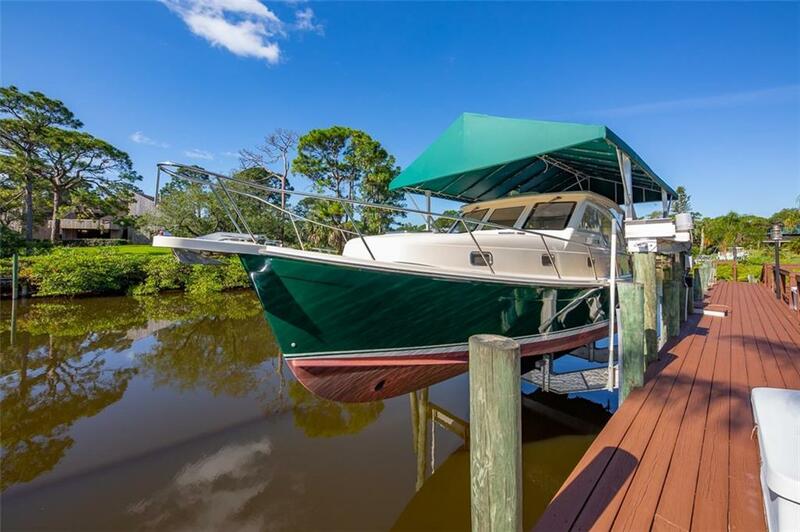 3 car garage & a 20,000# covered boatlift & a 100 ft. 2-level dock gives you room for all your boating needs on sheltered waters. 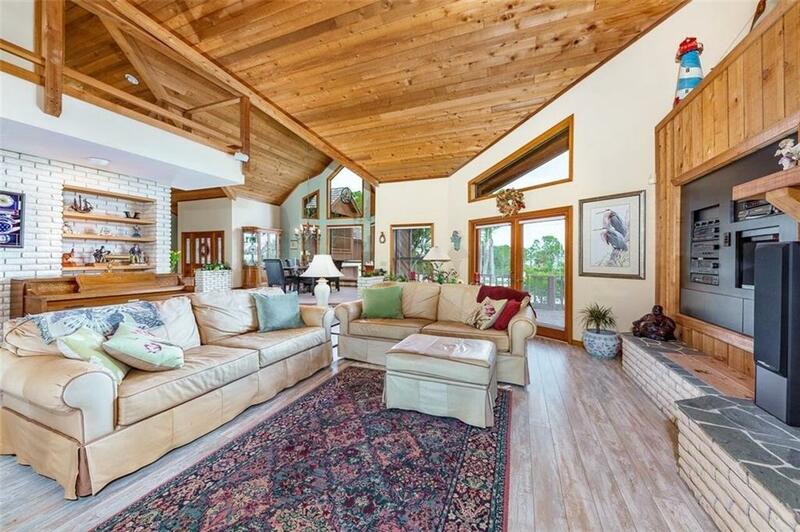 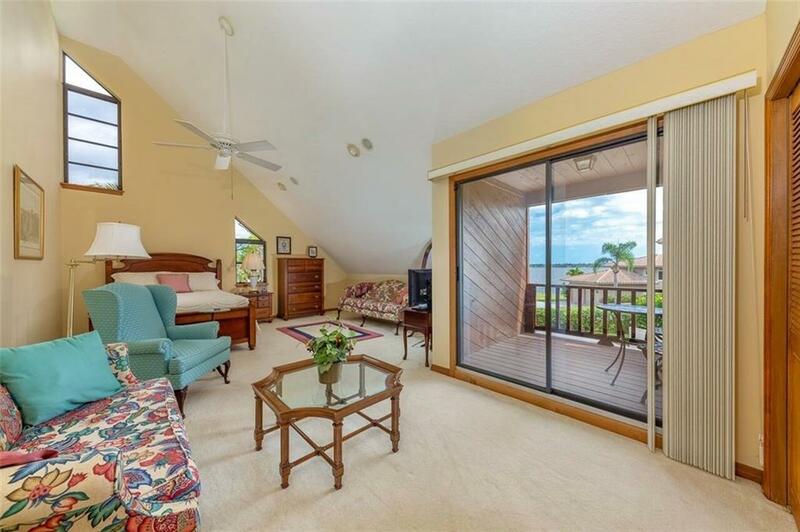 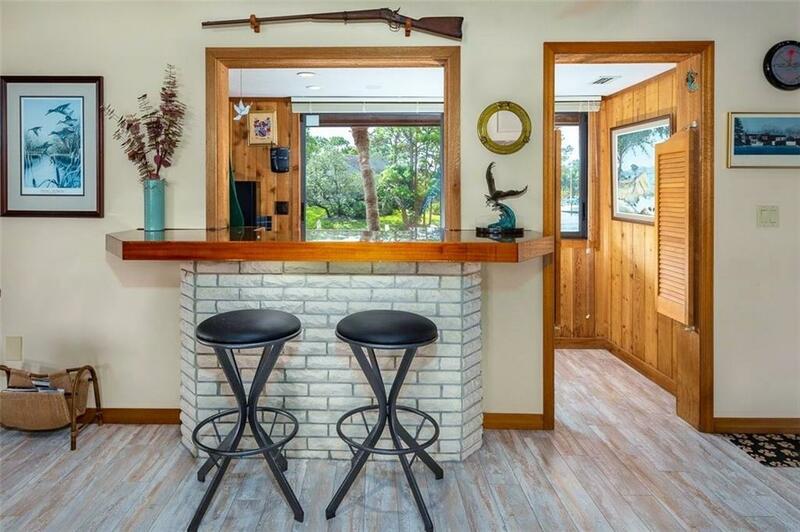 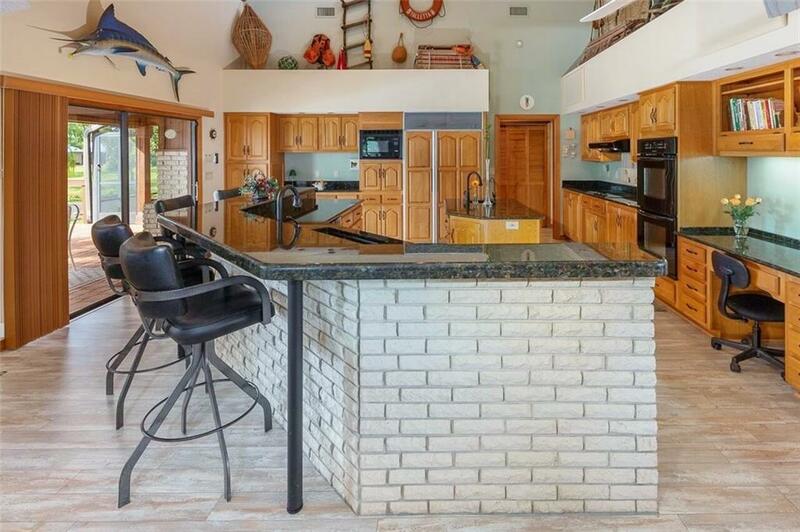 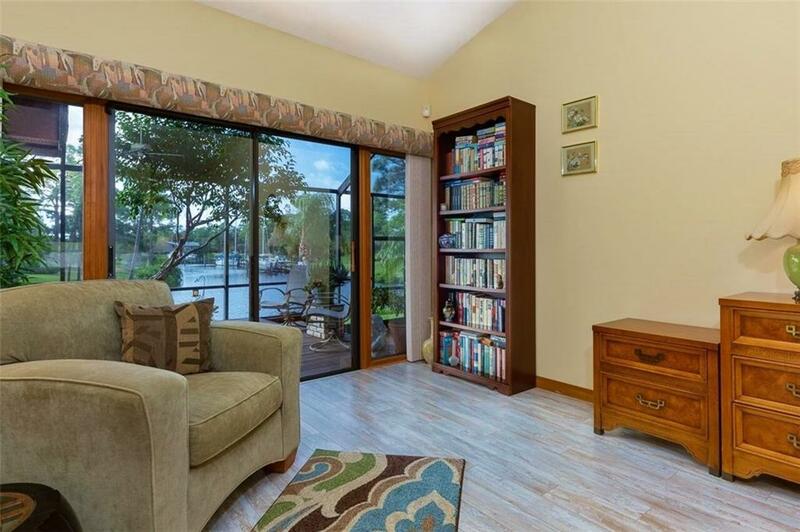 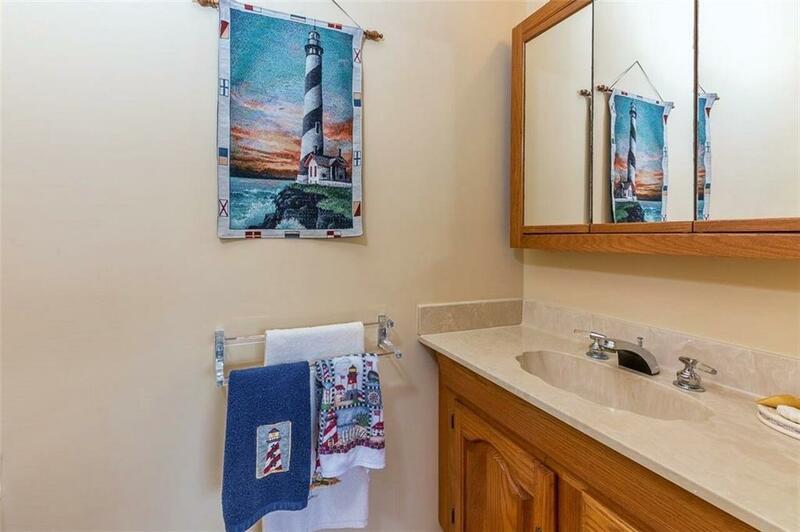 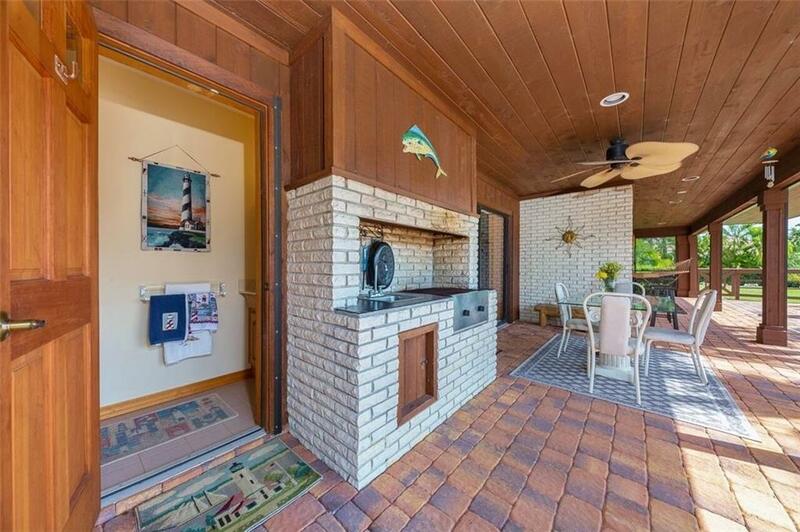 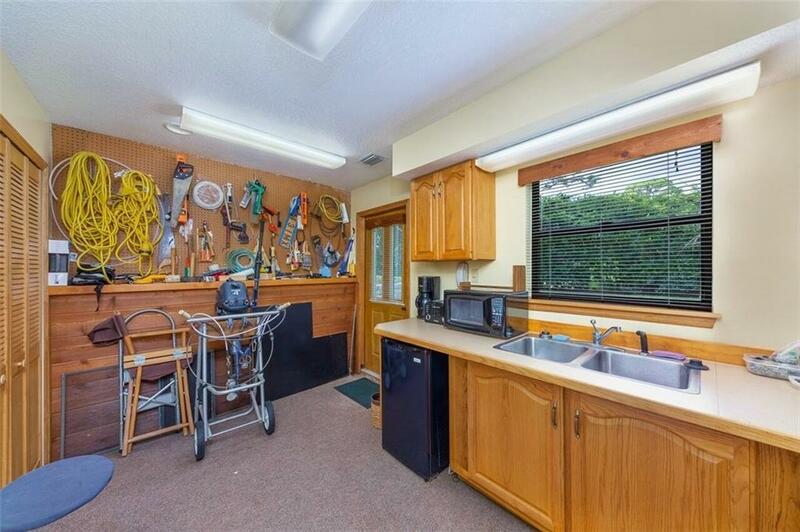 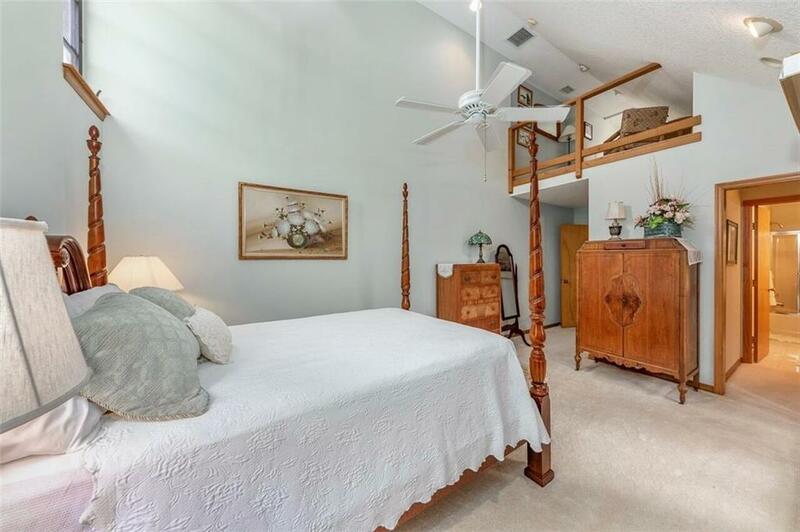 Just minutes to the river & inlet and the downtown Stuart city docks for dining. 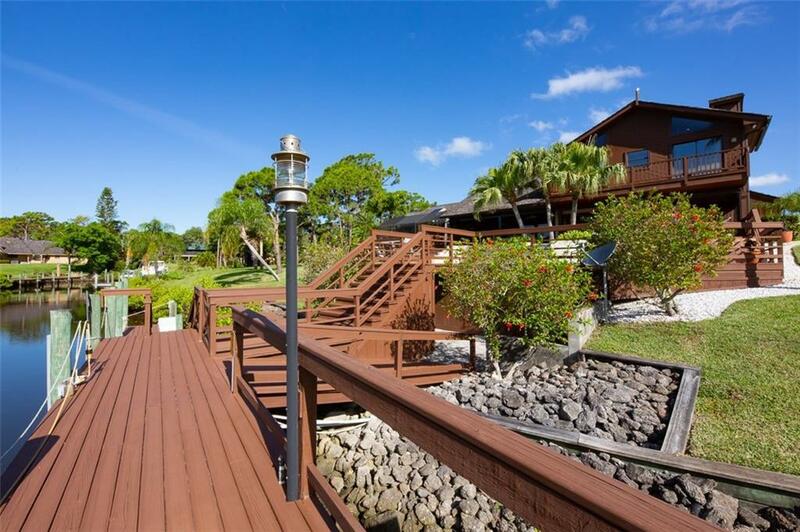 Community launching ramp, A rated Palm City schools add value to this location. 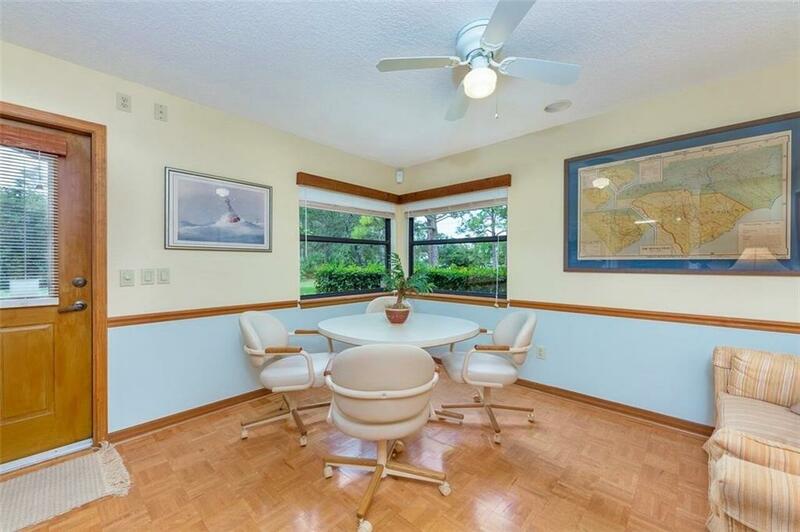 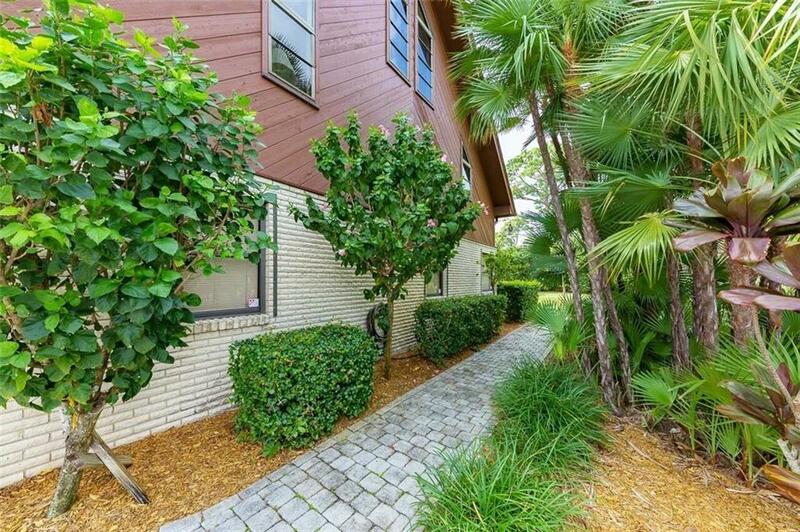 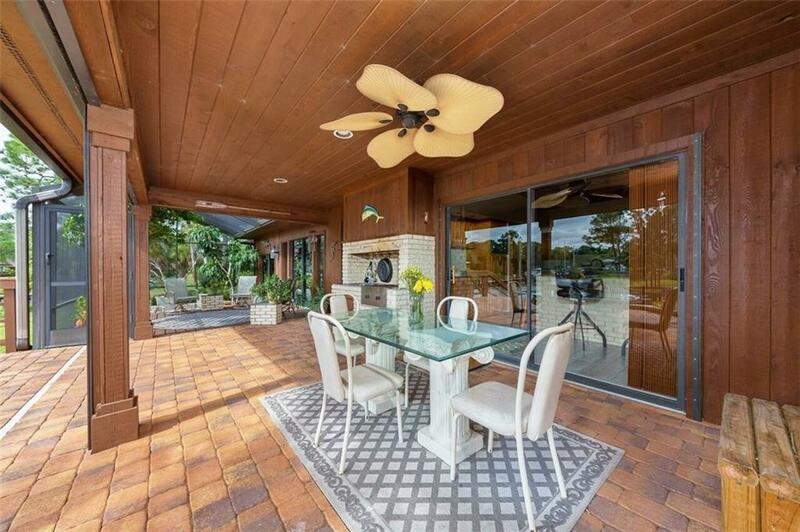 Highway commuting to the Palm beaches is just minutes away.